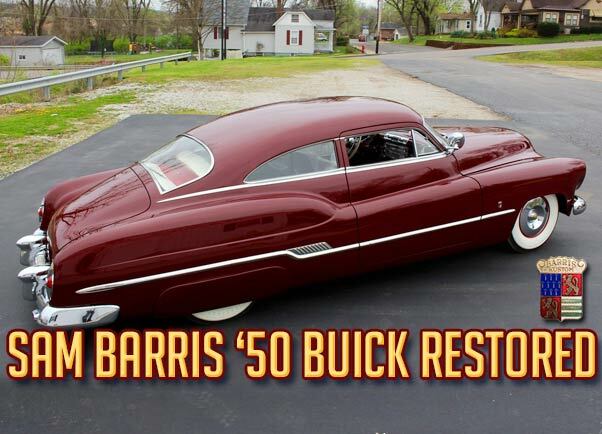 The full restoration on the Sam Barris 1950 Buick has been finished. 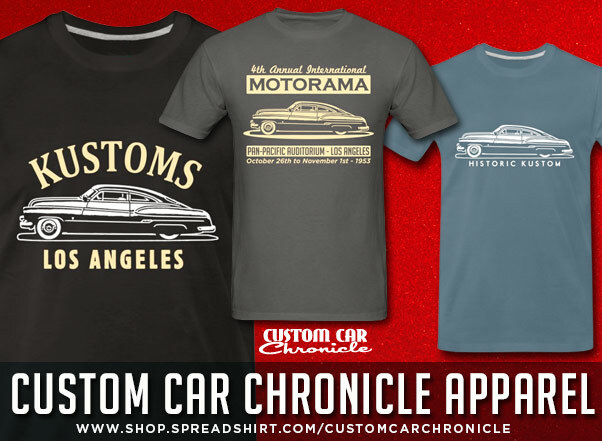 The Iconic Custom looks breathtaking, just as how Sam Barris finished it in late 1953. 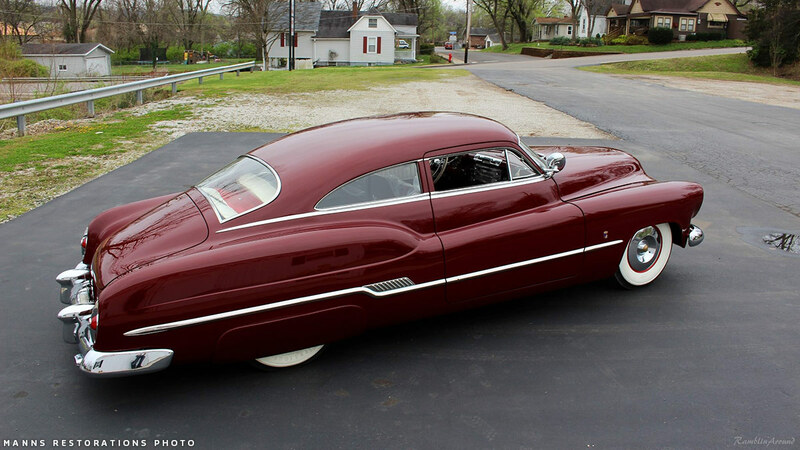 Sam Barris created this 1950 Buick as his own personal driver in 1953. He built it in his spare time at the Barris Kustoms Shop, and was the first one to chop a sedanette body. 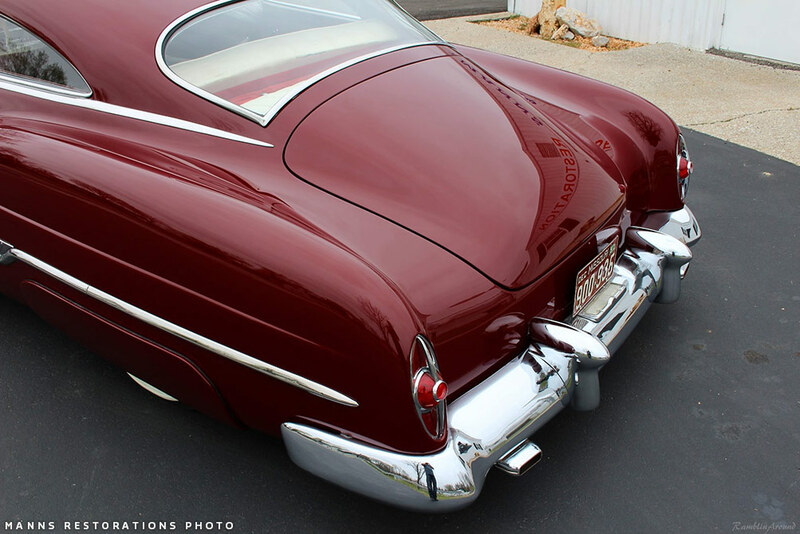 The stunning lines of this Buick are a showcase of Sam Barris skills as a body man, but even more as a designer. 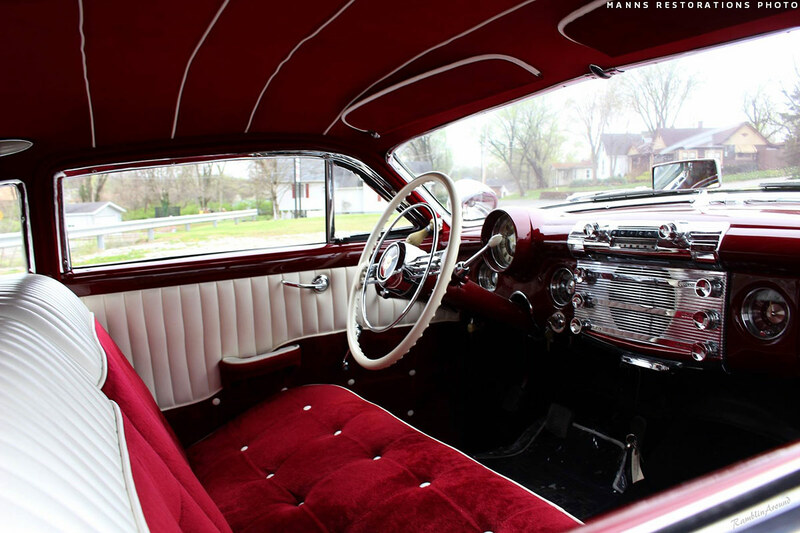 Sam sold the Buick in 1954 to help pay for some medical bills. After that the car changed hands several times and had a pretty rough life until it was found by Jim Walker in the mid 1970’s. Jim did a full restoration on the car in the late 1970’s. In the early 1980’s Kurt McCormick buys the car and shares it as much as possible with the world. He drives the car on a regular base, and enters it in many shows. It appears in many magazines all around the world, and the car is loaned to the Darryll Starbird Museum for many years. 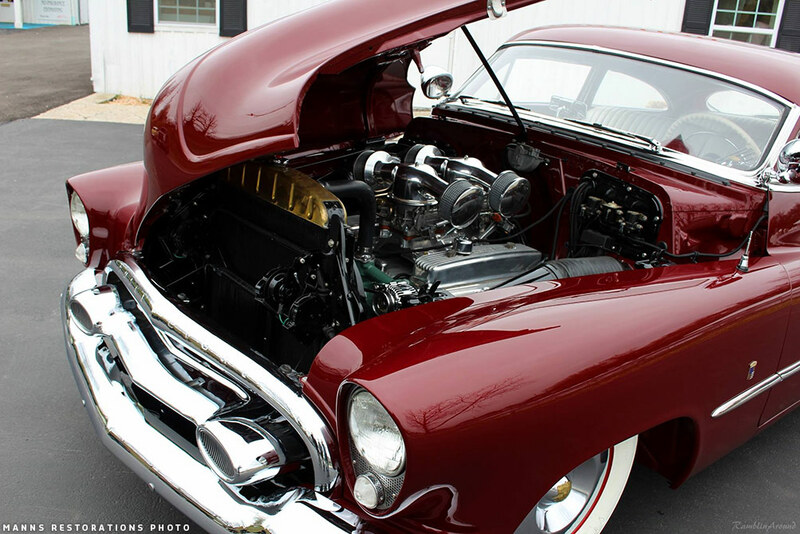 In 2013 the Buick comes home to Kurt’s Collection of Classic Customs again and he decides to update the drive train on the Buick with the installation of a Buick Nailhead engine. This way Kurt will be able to enjoy the car on a more regular base and drive it to more car shows so people can enjoy the car. 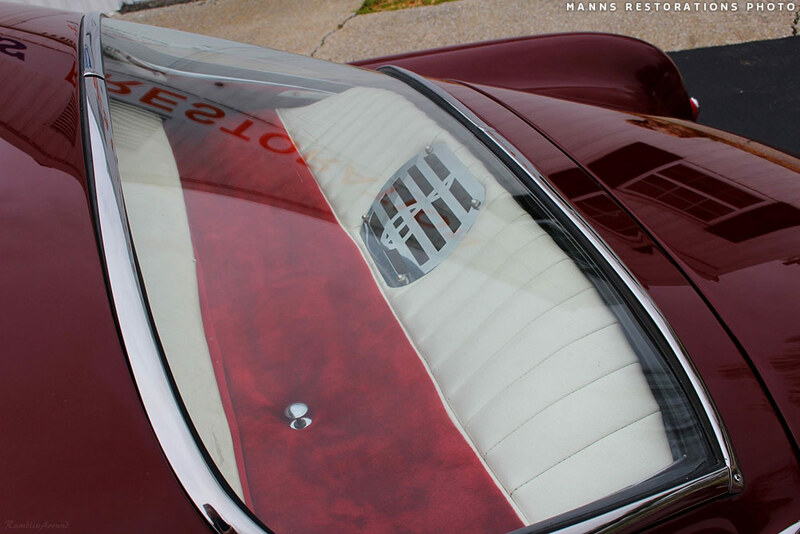 The car was delivered at Manns Restoration for the update. When the car was in the shop Kurt was asked if they could do a new paint-job on the car so it could be use as display piece for the shop at an upcoming show. Kurt agreed, but once they removed the interior they discover a much more rusty base than everybody had expected. Kurt then decided to go for a complete restoration. The restoration images can be seen on the CCC-Forum-Thread. 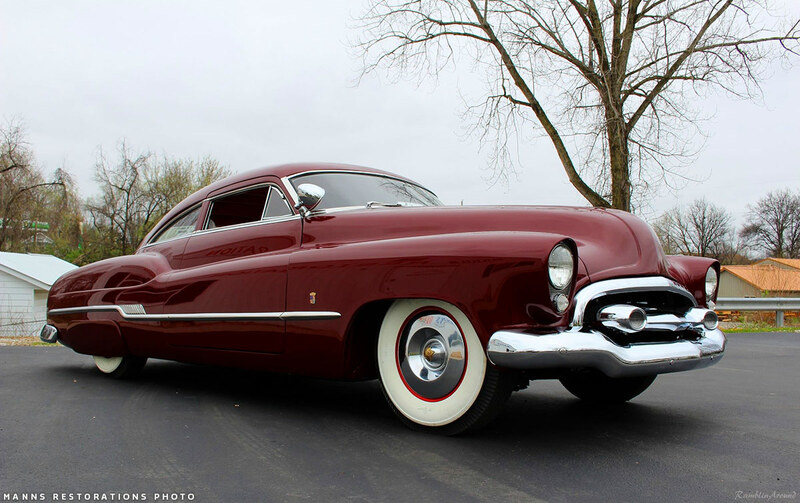 A two part article on the history of the Sam Barris 1950 Buick can be found HERE. Beautiful low angle front 3/4 view shows the just perfect stance of the Buick. Manns Restoration Shop has shared some new photos of the just finished Buick shortly before it would be delivered to Kurt McCormick. The team at Manns and everybody involved in the restoration process did an amazing job. The car looks absolutely stunning, with amazing attention to detail, and very important for this car the PERFECT stance. I hope you will enjoy these Manns Restoration photos as much as I did, it truly is amazing to see the car back in its full glory, the way Sam Barris intended when he built it back in 1953. We wish Kurt McCorming a lot of fun with the car, and also like to thank him to go all the way with the restoration, to save this iconic Custom Car fur future generations. 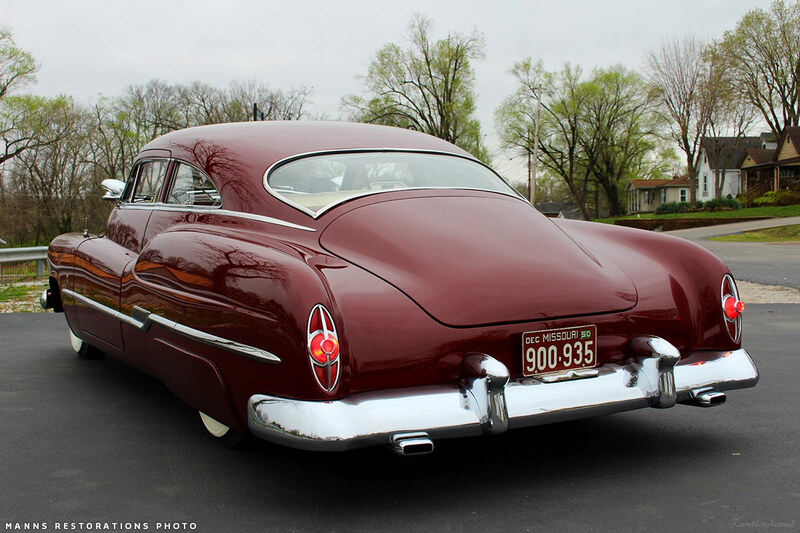 The glowing 1953 Pontiac Station wagon taillights looks fantastic in the extended rear fenders. The reflections in the paint show how smooth and straight the car is. 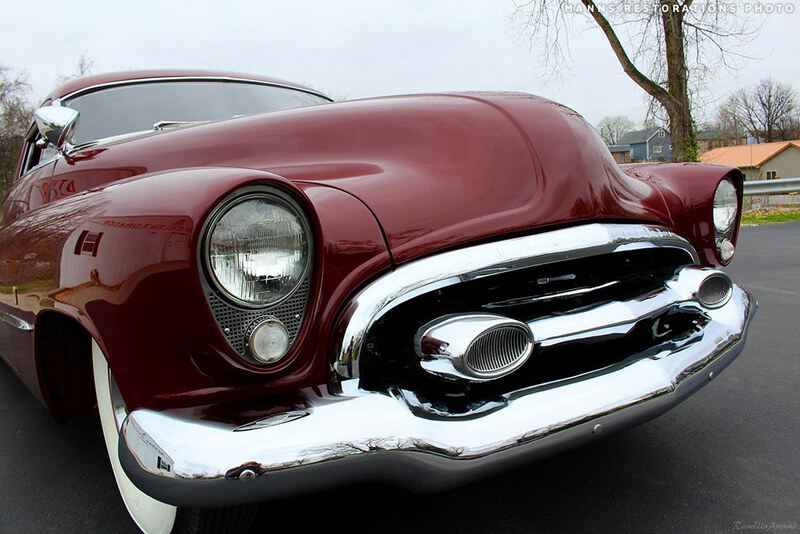 1951-52 Buick bumper with ’53 Oldsmobile grille bar and ’53 Buick headlights molded to the body. Heavily pie-cut sectioned and reshaped trunk with perfect reflections. Replicated Carson Top Shop interior in maroon velvet and white naugahyde for that classic look. The dark headliner with white piping gives it a very luxurious look. 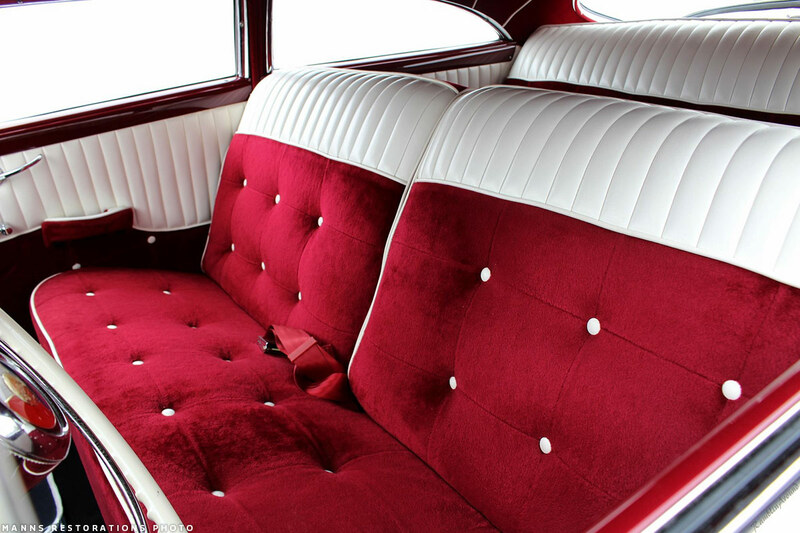 Butten-tufted red velvet, just as how it was done originally in 1953. 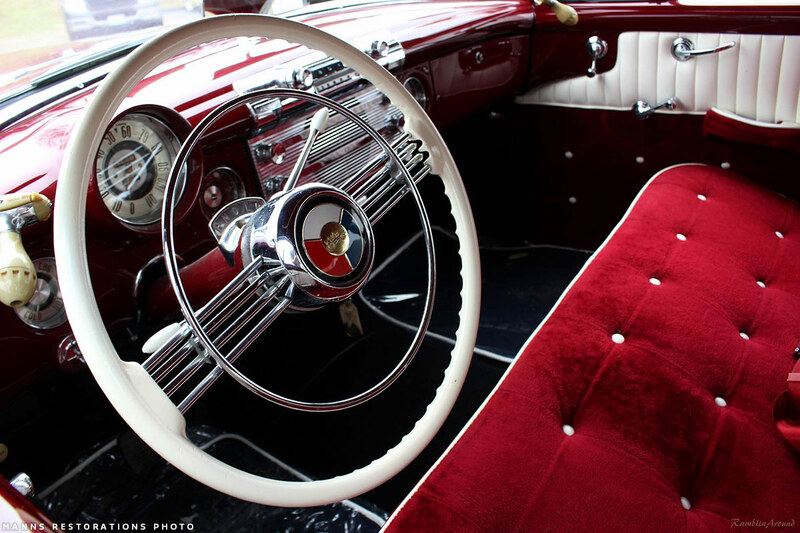 Perfectly restored dash and steering wheel. Buick nailhead engine will allow Kurt many hours of cruising pleasure. 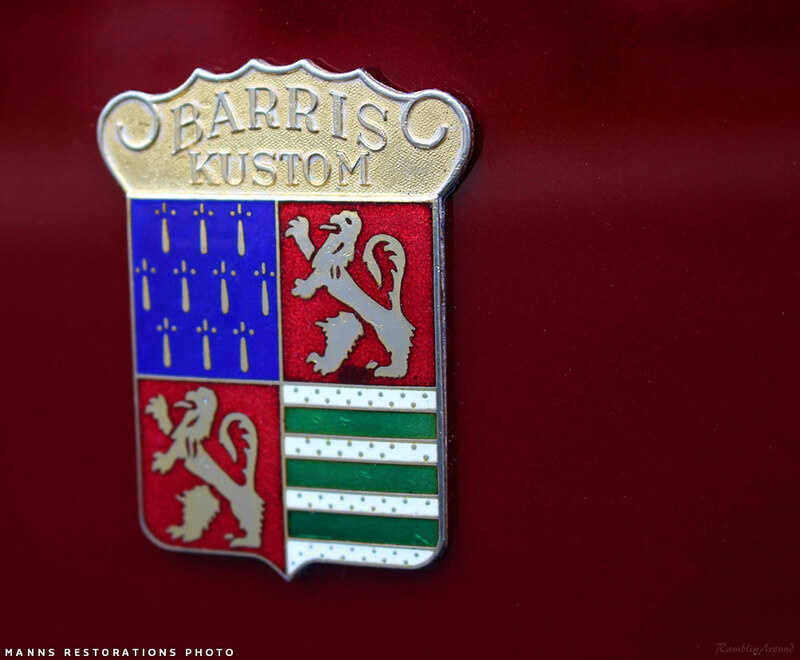 Barris Crest (1980’s McCormick reproduction) on the front quarter panel. More photos of the finished Buick and photos taken during the full restoration can be seen HERE. I’ve said it before and I’ll say it again. This is my favorite Sam Barris car. Here’s to many miles of cruising. I agree with Torchie- pretty much the best Sam Barris kustom to ever roll onto Atlantic Avenue. It is gorgeous from every angle and so wonderful to see it get a fresh restoration! Would love to see it in person some day. Wow , finally its back together looking beautiful , this is one my absolute favorite customs , I saw it in Holland Michigan in 1988-89 and I have had periods I need to stay off looking at pictures of it since its such incredibly design from the the factory , customized by Sam Barris , turning out something that is so beautiful . Restoring the Sam Barris Buick is a custom car culture deed of epic proportions , thanks Kurt McCormik and Manns restoration ! Can’t find words to fully express appreciation to Kurt and the people at Mann’s for bringing this custom back. I’m with everyone above. No car better exemplifies what customizing is all about. It is perfect in every way.